The Lonesome Leash – Travel. Garden. Eat. Will you indulge me in just one more post about Kruger, the dear family member we lost this week? A few months after we welcomed Kruger to our household last year, I began following the journey of another senior fellow by the name of Will. Just a year ago, Will joined Tom Ryan and his remarkable friend Atticus, whose story was told in the book Following Atticus. Their book was the subject of one of my early blog posts. The joyful process of Will rediscovering himself has been lovingly documented through the Following Atticus Facebook Page. My tears began to flow again today with the sight of a touching photo of Will gazing out over a lake, and with the reading of the latest blog post from The Adventures of Tom & Atticus. It seems that Will may be joining Kruger soon enough. I have Kruger’s identification tag from his collar tucked away for safekeeping until Christmas time. When we decorate the tree, we will think of sweet old Kruger when we attach his tag to his photo ornament. His smiling face peering out from the tree will bring back the happy memories of his time with us, not the sorrow of his passing. Reading Tom Ryan’s blog post and seeing that touching photo of Will on the lakeshore, my tears were intertwined with the joyful reminder of how Will and Kruger, two old souls, found new hope during their last years of life. Kruger, when you see Will crossing that Rainbow Bridge, welcome him with a wag and one of your best happy grins. Just like you did, Will has shown us that advanced age is no barrier to learning to love and to being loved. And for those of us who have opened our hearts to an “older” animal, we have learned that a special part of our soul is reserved for them. Lovely words for your old boy. Those last goodbye’s are always the hardest and are never easy to say, are they? There is always that secret part of you that will miss them dearly, no matter how much time passes… All I can say is I’m sorry for your loss and to always keep those sweet memories of him close and he’ll be waiting eagerly to be reunited with you one day. So true that you never completely stop missing them. Thank you for your thoughtful comment. Such a poignant shot Kat. RIP Kruger. I am sorry for your loss : ( Take care! Thank you, always hard to say goodbye to a friend. Beloved friends our heart’s mind hold dear. Another beautiful post, Kat. There just aren’t any words of comfort… only memories come as a soothing bond. Take time to reflect and envelope yourself in knowing you gave a happy life and forever home to Kruger. Reflecting on the happy memories is the best comfort there is with any loss. Beautiful. Thanks for including that quote. The quote says it perfectly! Sumithra, thank you, it is so appreciated — we never forget our furry family members! 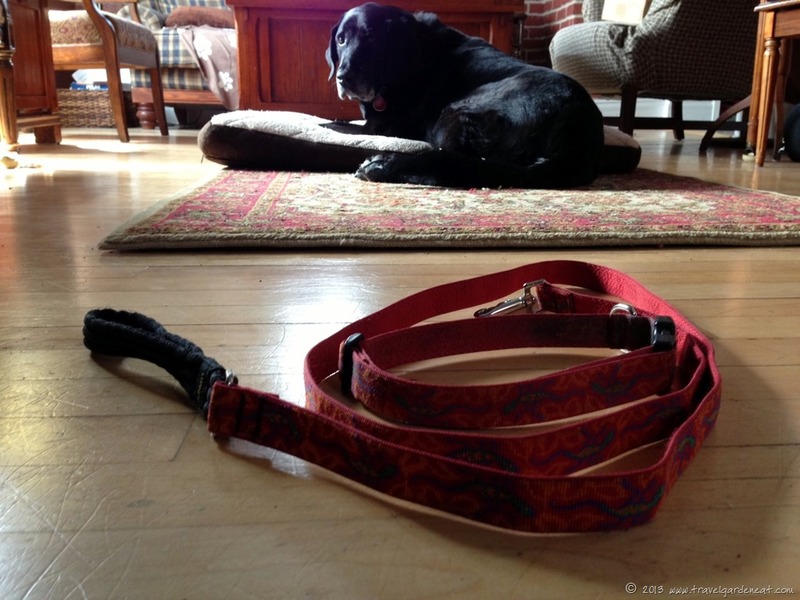 A beautiful tribute, Kat, for two well-loved companions. Animal companions can be so remarkable. Our other older lab was out of sorts particularly the first night he was gone — fussy and restless, They have deeper bonds and relationships than many appreciate. So kind of you to take time to comment, Leisha. A few tears with you… remember beloved animals who once shared our lives… Bless you and Kruger. Thank you — a part of them is always with us. That quote says it perfectly, doesn’t it?! Thank you, thank you for your kindness and loving towards animals and for opening your heart and home to adopting an older angel. I have 2 dogs and 2 cats and can’t imagine life without a single one of them. I love the quote you have in this post and couldn’t agree with it more. I have very mellow older chocolate lab mix and always thought adopting an older dog would be the right companion for her. Last summer we were spontaneously and randomly presented with an opportunity to adopt a Border Collie puppy so the other adoption was shelved for the future. Your story has renewed my interest in adopting an older baby when we have the opportunity next. Thanks again for the sweet story. Obviously, that Border Collie was meant for you — I think the animals in our lives often have a way of adopting us rather than vice versa. We are chosen by them. I have no doubt that down the road an older soul is waiting for you. So glad you are open to that, it has been rewarding when we have done it over the years from time to time, even though their time with us is even shorter. Thank you for finding my blog – and I look forward to following yours as well! I am just reading about Fletcher! The trinket box is such a special box of memories.